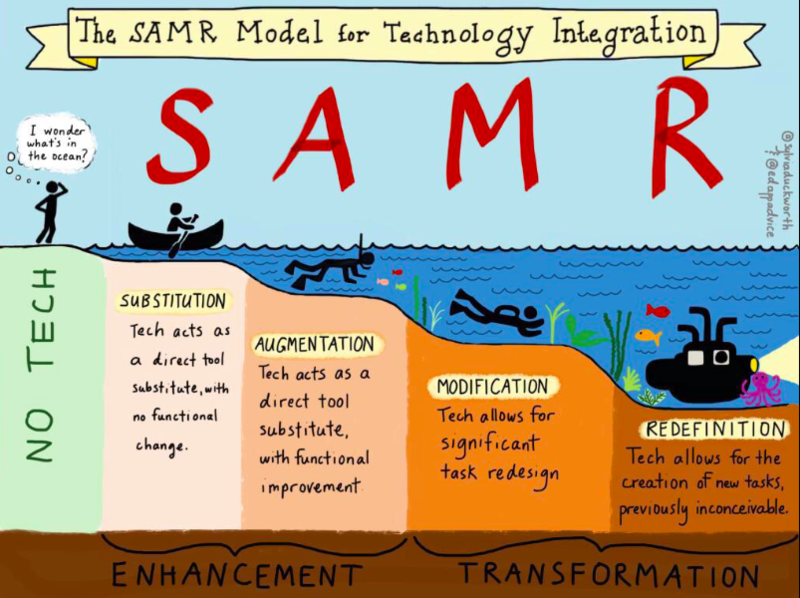 SAMR is an acronym for the way technology is used within the classroom. 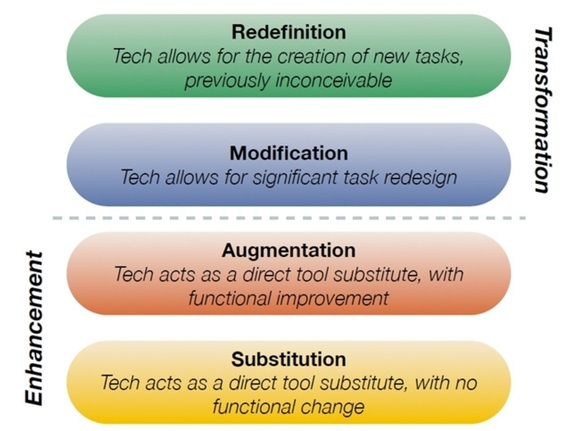 The purpose of SAMR is so teachers can reflect upon how they are using technology to improve student learning. There is no "bad" level. Even the teachers who integrate tech the best visit ALL levels. No one stays in Transformation all the time. The main purpose of this model is to create meaningful lesson planning and reflection for teachers. "It's not about the tech, it's how the STUDENTS use it." What appears to be the real difference between Lesson Enhancement and Lesson Transformation?